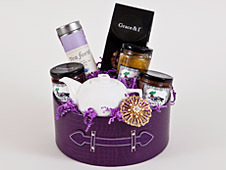 Our distinct Artisan touch is incorporated into our Gifting Selection as well. 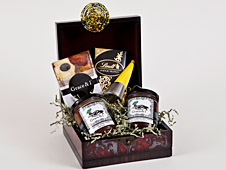 Each one of our gift boxes are custom made and unique. 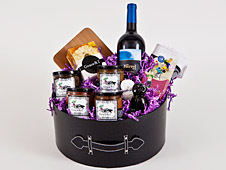 A few of our gift box design ideas are listed here, but we are excited to custom build your gift boxes according to your specified budgets and/or themes and specifications. Our gift boxes come in high quality wooden boxes or faux leather boxes in a variety of sizes and tailored to your exclusive needs. 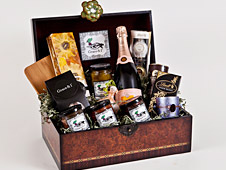 You choose the products and we'll build the box around your selections, or simply leave it up us. Either way, we promise to deliver a WoW! piece and a lasting impression of distinct sophistication. 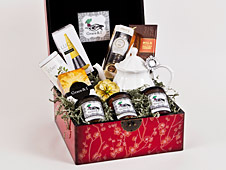 All gift box selections are Free delivery within Los Angeles County and standard shipping rates applied otherwise. Always tax free. Please allow for a 4-6 day turn around.